“Oh I wish the school holidays were longer” – said no parent ever! 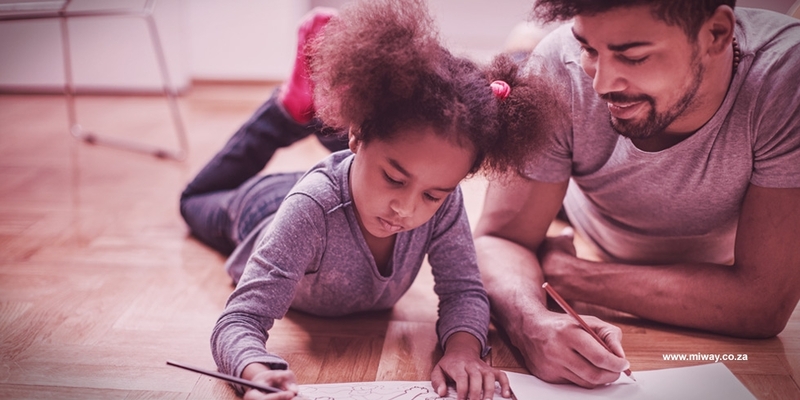 Of course, holidays are a wonderful time for reconnecting with family and doing things out of your normal routine – but it can be quite a challenge keeping youngsters busy! If you live in a flat without a garden, it’s too hot (or rainy) to play outside or – heaven forbid – you’re experiencing load-shedding tantrums may arise as the novelty of “electronic babysitters” (we’re not judging) wears off. Each person gets a piece of paper with their own pencil, marker or crayon. Set a timer and start drawing. When the timer goes off, hand your paper over to the next person to continue adding to the drawing with their own colour and artistic touch. The end results are weird and wonderful to see! Cook up your own storm. Draw up a list of your family’s favourite eats (and the ones you can create without an oven or refrigerator for the days without power). Keep a box of Rice Krispies or other cereal and a tin of condensed milk nearby for some yummy and messy fun! Kids simply adore being involved – even if only with ‘mundane’ tasks like peeling garlic cloves, adding salt to a dish, or slicing eggs with an egg slicer. Don’t let the absence of a garden keep your family from ‘camping’. Let the kids build indoor forts or tents by using chairs as support and hanging blankets or towels over them for a roof – held in place with washing pegs. Big boxes will work just as well! At night (or if the electricity is out), turn on a lantern and tell stories or read books together. Don’t forget to serve up some “camp-style” snacks! Don’t underestimate the entertainment value a good game of Pictionary or Twister can offer both young and young-at-heart. Or you can invent your own! Depending on the age of your kids, blocks like Lego can also provide hours of joy! By building anything from a castle to a dinosaur, it will encourage your kids’ imagination beyond the everyday. The holidays are about spending quality time with loved ones and living life your way. While your kids are busy, why not get an affordable insurance quote from MiWay - especially now that your electronic devices aren’t being hogged! Just like holidays away from home, having an itinerary to follow for your staycation will help you make the most of it. Our list of pre-departure and en-route tips will ensure that you make this road trip your best adventure yet!